Mass Incarceration in the U.S. and N.H. Among timely and important themes, few generate as much immediate recognition and response as mass incarceration. The incarceration rate in New Hampshire has quadrupled since the late 1970s. (See Note 2.) In the past decade, scholars, artists and political activists have succeeded in drawing public attention to the burgeoning problem of mass incarceration and its historic, political, cultural and economic causes and effects. The disproportionate use of incarceration in the U.S. raises issues of civil rights, mental health, law, rehabilitation and recidivism, family life and human dignity. The question of criminality stretches beyond a crime and its punishment. 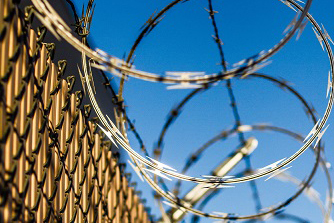 Its effects extend both forward in time — after incarceration, convicts face discrimination, continued monitoring, public registries and the permanent loss of rights as well as physical and psychological marks left by punishment — and backwards: Some groups encounter a presumption of criminality that can contribute to actual crime. In order to address this daunting public issue, the 2019-2020 Saul O Sidore Memorial Lecture Series will focus on the people who are most affected by it. At the center of mass incarceration is a question, “What is a criminal?” Which people do we deem such a threat to society that they must be removed from it? Who can legally be deprived of fundamental rights — to an extent that, some argue, approaches enslavement? Once placed in this group, can a person reintegrate into the broader society? What can be done to keep people from becoming criminals? To productively engage these questions requires a multidisciplinary approach, drawing on work in the humanities and social sciences as well as behavioral health. It also demands a collaboration that transcends the academy, putting researchers in conversation with the practitioners and public servants who are adjusting their working definitions of “criminal” in real time. The organizers for the series are Kate Gaudet, Alex Holznienkemper, Catherine Peebles, and Donna Perkins. The Saul O Sidore Memorial Lecture Series was established in 1965 in memory of Saul O Sidore of Manchester, New Hampshire. The purpose of the series is to offer the University community and the state of New Hampshire programs that raise critical and sometimes controversial issues facing our society. The University of New Hampshire Center for the Humanities sponsors the programs. Next Year's Sidore Series To Ask: "Who Owns the Past?"